Pour wine without removing cork and preserve the rest of the bottle for another day. 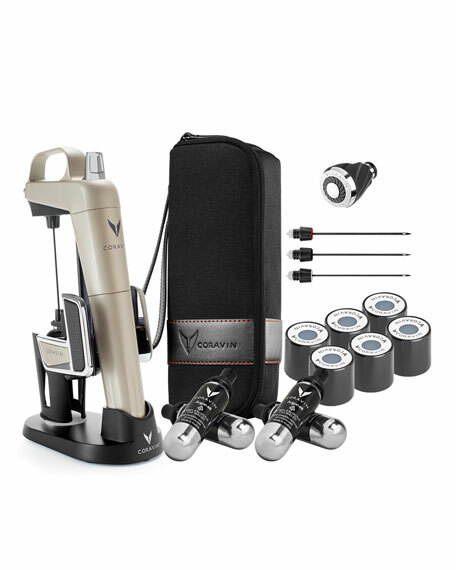 Coravin Model Two Elite Wine System with accessories. Set includes: Model Two Elite, two total capsules, pedestal base, carry case, faster pour needle, vintage needle, and replacement standard needle, six screw caps, and aerator. Stainless steel, nylon, ABS, zinc, and polycarbonate.